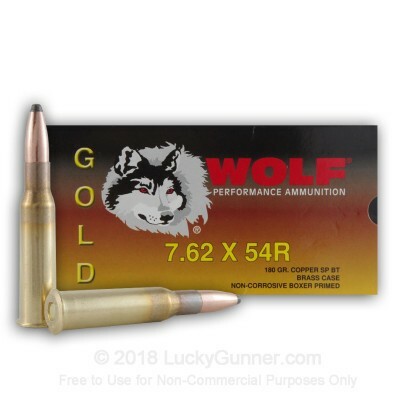 Manufactured in one of Wolf's legendary production facilities in Russia and made to SAAMI specifications, Wolf Gold ammunition features boxer primed, copper jacketed bullets. 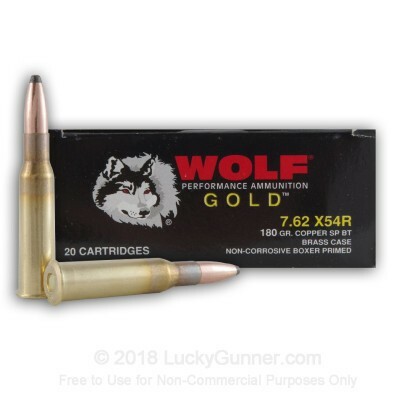 The soft point loads are ideal for hunting because of their deep penetration and excellent expansion. 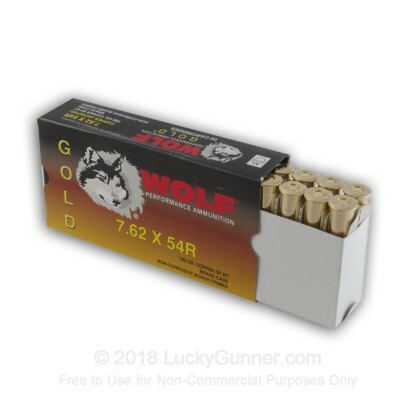 This is new production, non-corrosive, boxer-primed, brass cased, reloadable ammunition.